Charlotte Gill says her pound in Southwest Harbor tested cannabis on a lobster named Roscoe, and his good mood affected the whole tank. SOUTHWEST HARBOR — A local lobster pound owner believes she may have found a new, marijuana-based method for killing Maine’s signature seafood species more humanely. A lobster named Roscoe was Charlotte Gill’s first test subject. In her experiment, Gill placed Roscoe in a covered box with about two inches of water at the bottom. Marijuana smoke was then blown into the water. Gill’s hypothesis is that the pot sedates the lobsters, making their deaths less traumatic. Following the experiment, Roscoe’s claw bands were removed for nearly three weeks while he remained in the pound’s tank. His mood seemed to have an impact on the other lobsters in the tank, she said, and he never again wielded his claws as weapons. Earlier this week, Roscoe was returned to the ocean as a thank you for being the experimental crustacean. “The reason for keeping it so long, I wanted to make sure there were no adverse affects,” said Gill. A long-time animal rights supporter who has two pet goats, Gill says she wants to feel good about what she is serving. But she has to either have lobster on the menu or change the name and focus of her business. Robert Bayer, executive director of the Lobster Institute at the University of Maine, said he’d never heard of someone using cannabis to sedate a lobster, but he’s not particularly surprised someone would try. “I’m not aware of any actual studies on this and haven’t done any myself, though it sounds interesting,” he said. Bayer said it’s not clear how much marijuana the lobsters are being exposed to and how the drug affects them is unknown. He said Roscoe’s apparent lack of aggression isn’t particularly unusual because lobsters don’t use their claws as weapons anyway. It’s also not clear if marijuana or any sedative would make a lobster’s death less traumatic, Bayer said, because lobsters have a primitive nervous system similar to that of an insect. “When you put them in boiling water, the primitive nervous system that does exist is destroyed so quickly they’re unlikely to feel anything at all,” he said. 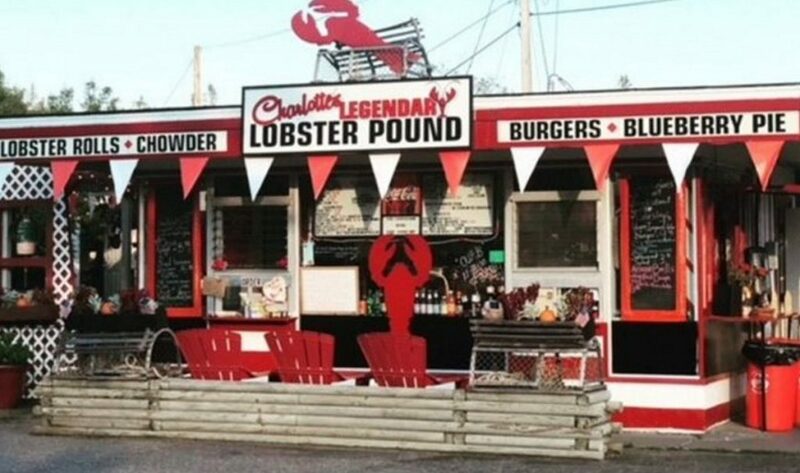 Customers at Charlotte’s Legendary Lobster Pound in Southwest Harbor can opt to have their lobster sedated with marijuana smoke before it gets steamed. Despite all the unknowns, Bayer said, he is sufficiently intrigued by Gill’s work that he might just stop by her lobster pound to learn more. The quest for a more humane way to cook lobsters has gone international. Earlier this year, Switzerland decided to ban boiling live lobsters, citing studies that suggest the animals feel pain. New Zealand instituted the same ban in 1999 and a small village in Italy has also banned the practice. But Gill also didn’t like the recommended method of cooking lobster in Switzerland: electrocute it or stab it in the head before putting it in the boiling water. Throughout the 2018 season, Gill has been doing business as usual by boiling or steaming lobsters alive. 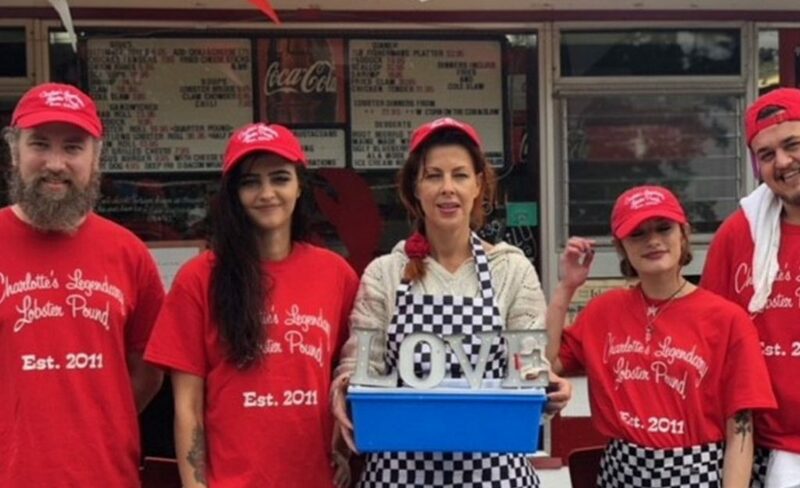 She has recently set up a separate station at the restaurant where lobsters can be sedated with cannabis before being steamed, at the customer’s request. Next season, Gill hopes all the pound’s lobsters will be sedated before cooking. Customers will still be able to have their lobster cooked traditionally if they object to the pot treatment, but Gill is said she is confident that the method does not infuse the lobster meat with THC, pot’s active ingredient. “THC breaks down completely by 392 degrees, therefore we will use both steam as well as a heat process that will expose the meat to a 420 degree extended temperature, in order to ensure there is no possibility of carryover effect,” she said. Gill holds a medical marijuana caregiver license with the state and is using marijuana she grows in order to ensure its quality. She also recently acquired her picker license with the state, which allows her to pick and sell her cooked lobster meat. “I’m not selling an edible,” said Gill. She argues that a happier animal produces a better tasting meat. Portland Press Herald Staff Writer Gillian Graham contributed to this report.